If you have ever sought business finance from a financial institution, then you know that writing a business plan is a prerequisite to receiving any funding. To be considered for financing, most banks and other financial institutions demand a comprehensive and detailed business plan from which a thorough understanding of your existing or proposed business, your own goals and objectives and your financing requirements can be obtained. 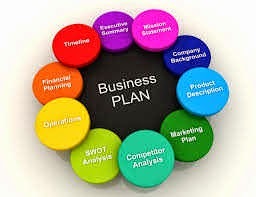 This is a general guide to writing a business plan but always bear in mind that every business is unique and each plan needs to be tailored accordingly. The infographic below summarizes the process of writing a business plan.